Greg Paul has been working with animals for as long as he can remember. Growing up in the small town of Florida, NY, he was drawn to doing anything with any type of animal he could be around. From working on dairy farms, standardbred horse breeding farms, small animal veterinary practices to large animal ( primarily equine) practices, Greg had done all of it by the time he entered Cornell University. He graduated from Cornell with a Bachelor of Science in Animal Sciences. Never being one to back off from extreme challenges, he decided to attend Veterinary school in Italy and combined his love of animals with his love of skiing and mountaineering. He earned his DVM from the University of Messina, and in the process, became bilingual with learning to speak Italian fluently as his second language. Greg’s main focus for a number of years was in an equine practice where he worked alongside his mentor, Roger I. Scullin, VMD, one of the most respected lameness veterinarians on the east coast. It is from this experience that Greg has developed his ability to evaluate dogs’ gaits and movements to detect lameness issues. Combining his educated eye for gait abnormalities with his extensive veterinary education allows Greg to add something very unique to his credentials as a Certified Canine Rehabilitation Practitioner. His specialty is in both canine and equine gait analysis. He has made it his goal to promote sports fitness in performance dogs and to educate his clients to help prevent sports-related injuries. 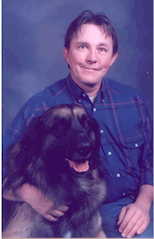 Besides having his DVM, he is also a registered veterinary technician in Maryland. He was certified as a Canine Rehabilitation Practitioner from the University of Tennessee School of Veterinary Medicine, completing an externship with Dr. Debra Canapp at the well-known and respected VOSM (Veterinary Orthopedic and Sports Medicine) in Annapolis Junction, Md. Greg has also had extensive experience training field dogs and is a certified SARTECH I (search and rescue) handler with his Border Collie, Mickey, who is nationally certified as an air scent/wilderness Canine SARTECH II by the National Association of Search and Rescue (NASAR).